I thought these singing cats were the perfect excuse to break out the Graphic45 Curtain Call stack. I could imagine these two friends putting on their own little show in the alley behind the club! I also used a strip of round metal embellishments from K&Company. 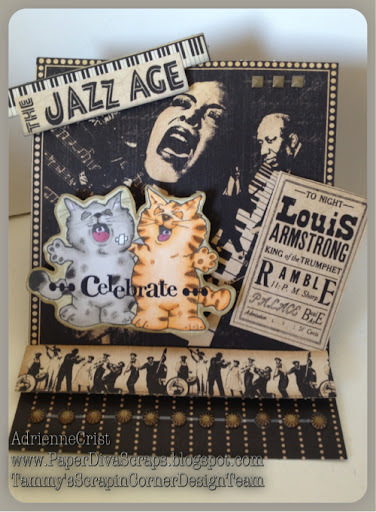 Be sure to stop by http://tammyscrapincorner.blogspot.com/ and show us your creation this week. Beautiful hun, thanks for joining us at That Craft Place.